These prints are printed on aluminum that has a coating applied with state-of-the-art coating machines. The coating that is applied sometimes contains small imperfections such as small craters or bumps. We inspect each sheet carefully, and, if there are imperfections, we place them in the most unobtrusive parts of the image. We cannot remake metal prints due to these imperfections unless they are located in a very prominent part of the image. 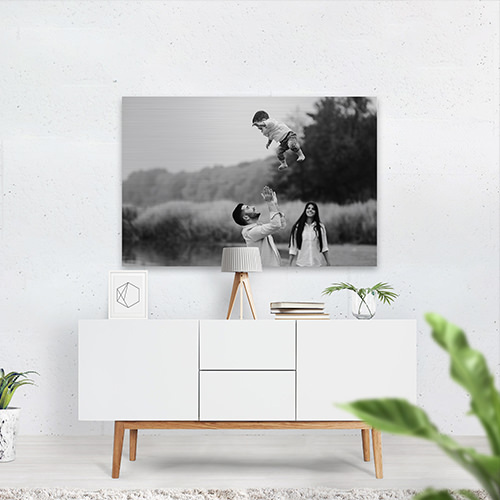 Metal prints are weatherproof and moisture-proof, but they will fade like a photograph, so please avoid direct sunlight.